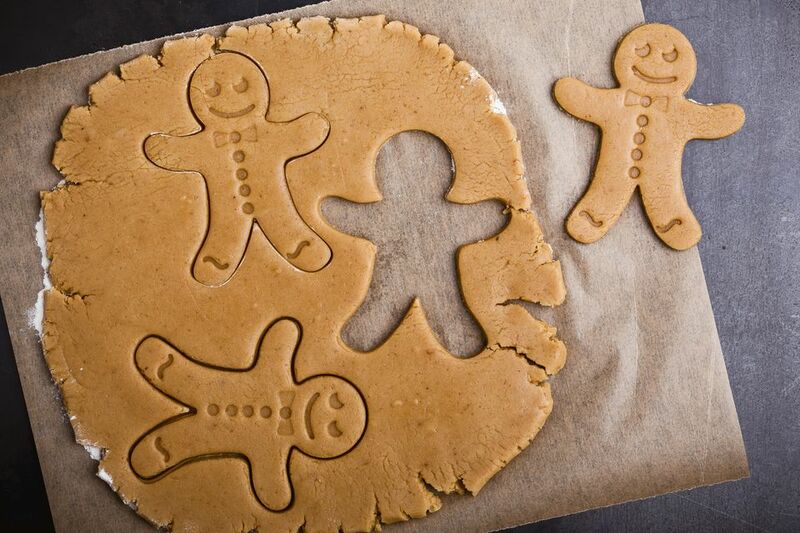 This recipe for Gluten-Free Gingerbread Men is adapted from a recipe by Jacqueline Mallorca, "Rice Flour Gingerbread Cows", featured in her fabulous cookbook, "The Wheat-Free Cook". This version is corn free as well as gluten-free and is extra-extra gingery. The gingerbread men are decorated with small amounts of royal icing and chocolate buttercream frosting, but you can also use raisins and nuts for a charming natural touch. Line 2 large baking sheets with parchment paper or lightly grease. Cream butter and sugar, beating on high speed for 3 to 5 minutes until light and fluffy. Add molasses and vanilla and beat until combined. Slowly add dry, sifted ingredients to butter mixture and beat just until stiff dough forms. Place dough between 2 sheets of plastic wrap lightly dusted with sweet rice flour. Roll out to 1/8 inch thick. Dip gingerbread cookie cutter in sweet rice flour and cut out gingerbread men. Use a flour-dusted spatula to transfer cookies to baking sheet. If the dough should get too soft while you are working with it, just place it in the freezer for about 5 minutes. Bake for 10 minutes in preheated oven, or until cookies are firm to the touch. Cool, and decorate with royal icing and chocolate buttercream frosting.